Will humanoid robotics change manufacturing? The world is growing undeniably digital. The progress we've made in computing and cellular technology alone has afforded almost every one of us a device that can fit inside our front trouser pocket and enables us to access nearly every piece of information known to man in an instant. Everything we do is increasingly virtual, from shopping and dating, to attending university and posting our most intimate secrets online. A rise in digital ways of living are bringing rise to another form of advancement however: electromechanical manufacturing. If a global adoption of robotics in all sectors is successful, the manufacturing industry will see an even greater spike in production. Using machines in manufacturing is by no means a new idea. A quick search around the internet will show that recently, many are wondering if their jobs will be replaced by automated robots, however these mechanical assistants have been widely employed in many industrial positions starting back in the 1960s. The adoption of robotics was an enticing option for many mass-production corporations, as they can be programmed to perform incredibly accurate actions repeatedly and without variation. However, these machines aren't robots of the humanoid variety, but more mechanical arms that are set to defined parameters for direction, acceleration, velocity, deceleration and distance. But if this iteration of robotics has been present in manufacturing for over fifty years, why has the topic been recently met with such controversy? According to PricewaterhouseCoopers, the number of global published patents for robotics technologies passed 5,000 in 2013, the highest ever recorded and a sharp increase from around 1,400 in 2004. Interestingly, an increasing number of industries outside traditional manufacturing are investing in robotics startups. If a global adoption of robotics in all sectors is successful, the manufacturing industry will no doubt see an even greater spike in both robotics implementation and production. One popular opinion is that with machines taking many of our jobs, the world will see little growth and many members of the population will become unemployed, while another points out that an automated society will provide cheaper products and greater personal freedom. 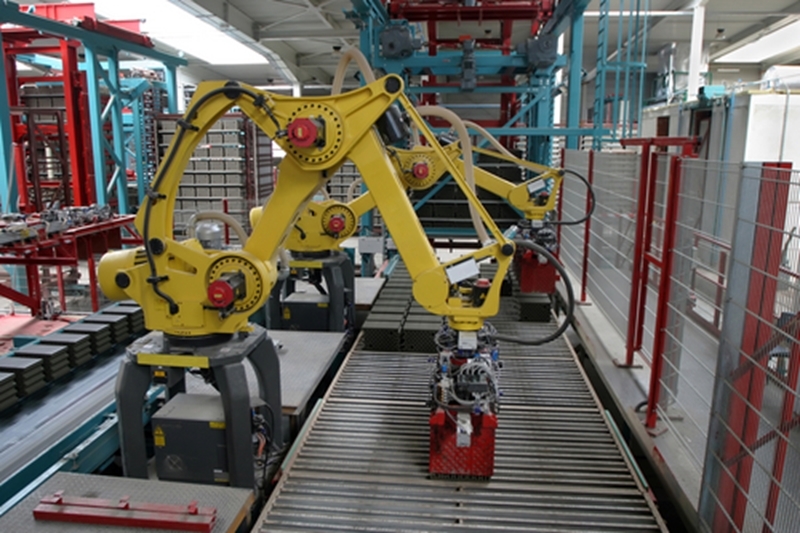 Industrial robotics is just the start of the mechanical revolution. However, just looking at the profound effect that robotics had in manufacturing automobiles alone, if these machines can be put to greater use across our society, there is no doubt we will all benefit. We at Advanced Business Manager are no strangers to automation, with our comprehensive accounting and business management software automated to ensure the absolute minimum amount of time is spent on data entry.